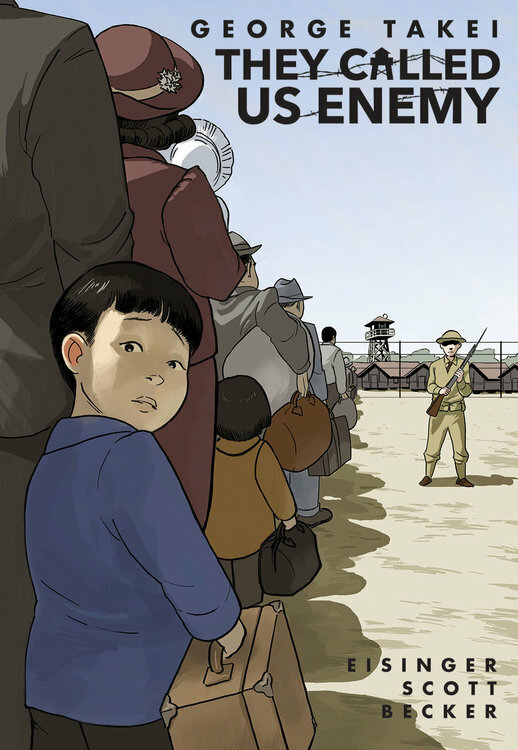 In a stunning graphic memoir, actor/author/activist George Takei revisits his haunting childhood in American concentration camps, as one of 120,000 Japanese Americans imprisoned by the U.S. government during World War II. Experience the forces that shaped an American icon — and America itself — in this gripping tale of courage, country, loyalty, and love. George Takei has captured hearts and minds worldwide with his captivating stage presence and outspoken commitment to equal rights. But long before he braved new frontiers in Star Trek, he woke up as a four-year-old boy to find his own birth country at war with his father’s — and their entire family forced from their home into an uncertain future. They Called Us Enemy is Takei’s firsthand account of those years behind barbed wire, the joys and terrors of growing up under legalized racism, his mother’s hard choices, his father’s faith in democracy, and the way those experiences planted the seeds for his astonishing future.